Marvel.com have just confirmed their latest ongoing series, but this one has a slight twist to it. 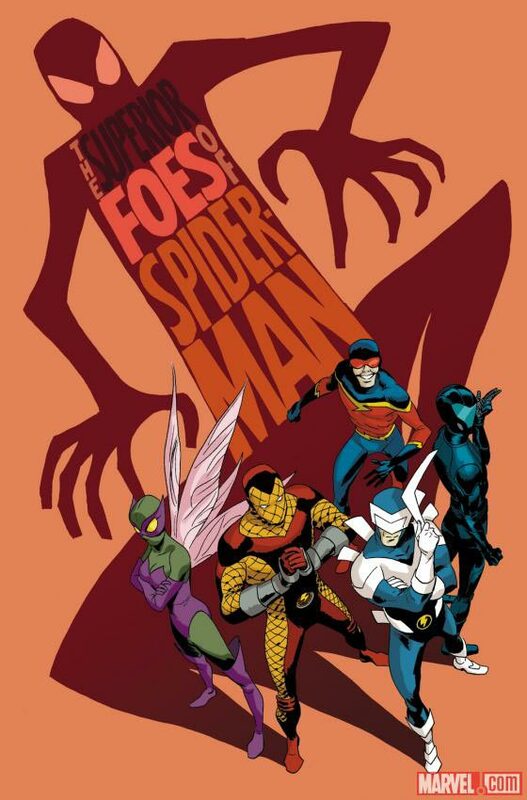 Superior Foes of Spider-Man (to be written by Nick Spencer and illustrated by Steve Lieber) will be based around the new Sinister “Six” of Boomerang, Shocker, Speed Demon, the Beetle, and Overdrive. Spencer had the following to say. He also confirmed that while Spiderman will obviously feature in the title, the focus will remain firmly on the villians, and also on their reaction to the new “superior” version of their nemesis. He also expressed his desire to delve into the secret identities of the villians, an approach which hasn’t really been touched on much in the past. A really interesting idea then, and given the success rate of Spencer as a writer (not to mention Marvel as whole lately) , this is definitely going to be a project to watch out for.